The Diablo team is busy at E3 2014 this week, showing off Diablo III: Ultimate Evil Edition. 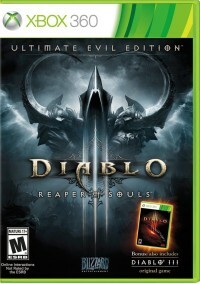 Gamespot nabbed an interview to chat about the console release, and show off gameplay on the PS4 edition of the game. 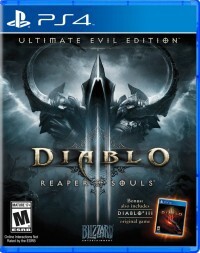 Blizzard also announced another bonus for the upcoming console release, exclusive to the PlayStation 3 and PlayStation 4 editions. 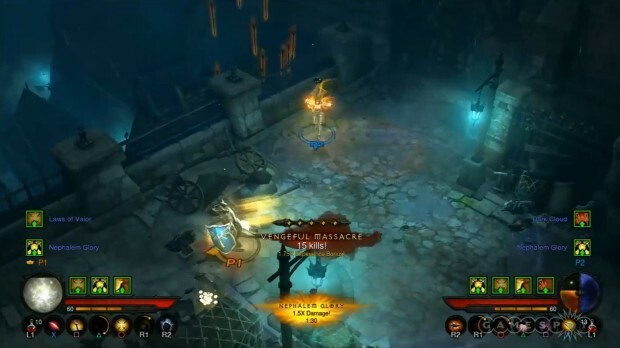 In the interview with Gamespot, Diablo III game director Josh Mosqueira talked about some of the features found in the Ultimate Evil Edition. These include special bonuses that provide extra punch from kill streaks like Massacres, as seen in the image above. Check out the video for this discussion, and PS4 gameplay of the start of Act V.
The video also touches on another announcement today for the Ultimate Evil Edition on the PS3 and PS4, which will get some extra goodies. 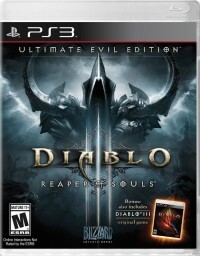 As previously reported, that exclusive content includes a Nephalem Rift level based on the console game The Last of Us. Those consoles will also see extra transmogrification patterns, the "Guise of the Colossi". That unique set of plans unlocks six armor appearances inspired by the PlayStation 2 title Shadow of the Colossus. Read on for the official announcement about these PlayStation-exclusive bonuses. 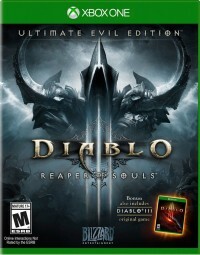 Be sure to lock in your Diablo III: Ultimate Evil Edition pre-order, and get ready for a whole new round of demon slaying on August 19.